Choose from 158 hotels and guest houses in Highland. Shown below a just a selection of the hotels available. To search within an area please use the menu on the right. The home of Highlanders for generations. An old Inn, relaxed lounge bar with history & home cooking. Angler, Golfer, Family & Doggie friendly. 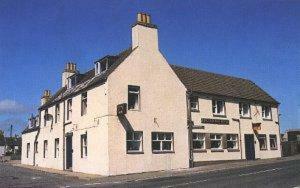 The village inn for 300 years, the 'Caley' is that rare blend of the past and the present. One of the few Scottish establishments where hospitality is still dispensed by original Highlanders. All bedrooms are on the first floor; most overlook the 'Britain in Bloom' square. This family-run establishment is 5 minutes' walk from train and bus stations, and 2 minutes' walk from the High Street and restaurants. Hosts Wilma and Jim have run 6 Caberfeidh as a B&B for 18 years and have many return-customers and friends. Jim has a taxi for tours and local runs and can help with local knowledge and advice on where to go for day trips etc. The cosy Tourist Board-rated establishment has en suite rooms, and offers a choice of vegetarian, continental and full Scottish breakfast. There is also a nice four-poster room with a corner bath and a view over the loch. Close to the centre of Scotland's fastest-growing city, this attractive Victorian building offers free on-site parking, free Wi-Fi, hearty breakfasts and stylish and modern en suite rooms. Bannerman Bed and Breakfast is within walking distance of the very heart of Inverness, a beautiful, thriving modern city, surrounded by stunning scenery. On the main tourist route to Loch Ness and Fort William, this 3-star bed and breakfast is also a great base from which to explore the local countryside and the Highlands. All of the light and airy en suite rooms have power showers, hairdryers, tea/coffee making facilities and TVs with Freeview digital channels. 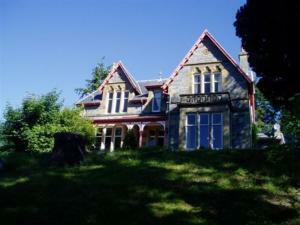 Bannerman Bed and Breakfast is privately owned and run by your host, Alison Cameron. With just 4 rooms, the bed and breakfast offers attentive, individual service, a relaxed, friendly atmosphere and tasty home-cooked breakfasts. In the beautiful countryside of the Cairngorm National Park, this luxury guest house has been awarded 5 stars by VisitScotland and 5 Gold Stars by the AA in 2009. Ard-na-Coille offers luxury accommodation and stunning views. The guest house is in the heart of the Scottish Highlands and ideally located for skiing, sightseeing, walking, golfing or for a romantic break. The guest house is furnished to a very high standard and has many original features. Ard-na-Coille featured in the popular Monarch of the Glen BBC TV programme as Glenbogle Golf Club. Many of the cast members stayed in the guest house during filming. The Loch Ness Inn is conveniently located between Drumnadrochit and Urquhart Castle in the village of Lewiston, near the Great Glen Way. It is 15 miles (24 km) from Inverness and set in the heart of the local Scottish Highland community where you will meet hikers, tourists and locals in friendly, comfortable surroundings. The rooms are simple but comfortable, and the restaurant and bar are cosy and elegant. Refresh with a beer from Cairngorm or Isle of Skye after a day on The Great Glen Way. Situated in the heart of Inverness, this luxurious new Boutique hotel, bar and restaurant boasts a convenient setting within a few minutes' walk of the High Street and Inverness Castle. Winners of Scottish Hotel of the Year 2006 and 2007, Scottish Boutique Hotel of the Year 2007, Scottish Small City Hotel of the year 2008 and Conde Nast Johansens Most Excellent UK City Hotel 2008, Rocpol Reserve offers you an indulgent stay in the Scottish Highlands. An exclusive hideaway in the centre of the city, Rocpol is within 20 minutes of Inverness Airport and approximately 5 minutes from Inverness bus and train stations, making all local attractions easily accessible. Overlooking the shore of Loch Linnhe and with magnificent views of the Ardgour Hills, this Victorian guest house is just 5 minutes' walk from the town centre. A warm Scottish welcome awaits you at Ashburn Guest House, where proprietors Christine and Willie MacDonald will greet you with genuine Highland hospitality, traditional home cooking and 6-feet wide super king-size beds. There is ample free private parking and free broadband wireless access available. Other features of the guest house include a guest lounge and storage for luggage and bicycles. In a stunning location, between the mighty Glencoe Mountains, this baronial Highland hotel offers an irresistible blend of history and style with modern comforts and luxuries. Make yourself at home at one of Scotland's most famous hotels: The Ballachulish. Situated in a breathtaking setting by the loch, at the foot of Glencoe, the Ballachulish Hotel features the B?las Bar and Bistro and offers a warm welcome and comfort all year round. All of the beautiful rooms reflect the region's Highland heritage and many of the rooms have stunning views of the loch and of the breathtaking mountain scenery all around. The more adventurous can explore the west coast from this base, or discover many local activities and attractions, from golf to the great outdoors. All guest can enjoy complimentary use of the nearby leisure centre with its swimming pool, jacuzzi, bio-sauna and exercise room. All our rooms come with all the features that will make your stay a real treat. The attitude of total flexibility at the Priory is one of its great features - early check-in, late check-out, breakfast until lunchtime and room service that will deliver anything from Champagne and smoked salmon to lager and pizza. The Priory is an ideal location for enjoying the unspoilt beauty of the North and West Highlands of Scotland. Run by the same owners since 1972 the hotel has gained and retains an excellent reputation for quality and value for money. Having undergone major refurbishment in the 1990's, the Priory now enjoys its standing as one of the premier hotels in the North. The above combined with friendly and efficient service will ensure your stay is enjoyable and memorable. Set in 21 acres of mature parkland and gardens, bordering Nairn Golf Course - host of the Walker Cup in 1999. 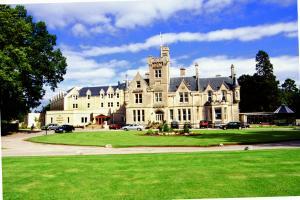 The Newton Hotel, with 56 bedrooms, is an imposing building in a secluded location. 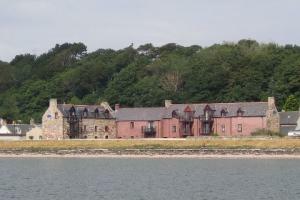 Built as a family home in 1872 and a hotel since 1951, in recent years The Newton has seen a number of improvements, including refurbishment of all bedrooms in the original building as well as the addition of The Highland Conference Centre and a wing of spacious master bedrooms. Situated in the heart of a picturesque Highland village on the east coast of Scotland, this contemporary country hotel rejects modern day distractions in favour of a haven of peace. In an effort to keep alive what this region stands for, the hotel has invested in natural history and art, and retains much of its original charm, including the woodwork and panelling which glow with the warmth of open log fires. With no TVs and telephones in the rooms, you can absorb the peace and quiet. 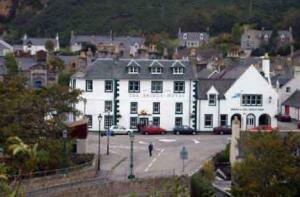 Built in 1816, the Bridge Hotel is steeped in history and tradition, with the famous Helmsdale River running right past it. Served by 2 airports - Inverness and Wick - it is conveniently situated on the main axis between Inverness, Thurso and John O'Groats, the most northern point of mainland Scotland, and a perfect base for exploring the wonders of the Highlands. 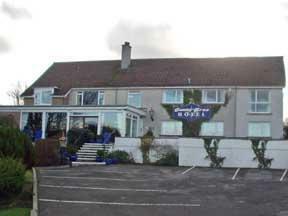 Fully refurbished, small, elegant family-run, non-smoking hotel with stunning sea view over Moray Firth. 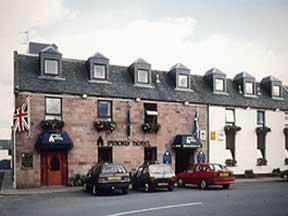 A 4 star small hotel offering the highest standards of comfort and Highland hospitality where guests like to return. Bedrooms individually styled with many personal touches and panoramic sea view. Excellent cuisine prepared from fresh local produce and seafood. Restaurant with sea view and ambiance. 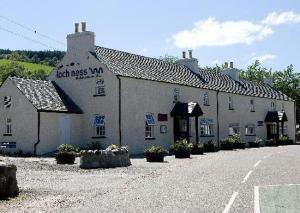 Perfect base for exploring the beautiful Highlands, Loch Ness, whisky trail, castles, golfing, walking etc. Set within Cairngorm National Park, this hotel is the ideal base for touring the north of Scotland, with its mountain ranges, forests, lochs and river valleys. Highlander Hotel is situated in the picturesque village of Newtonmore in the majestic beauty of the Highlands of Scotland. The hotel is ideally situated to offer a huge range of outdoor activities from energetic skiing to the peace and quiet of relaxation in the hills and glens. In addition, Loch Ness, Ben Nevis and Balmoral are all easily reached on a day trip. The hotel is renowned for its friendly atmosphere and great food, and the well stocked bar gives you the perfect opportunity to sample many of the malt whiskies for which the area is famous. The varied menus take full advantage of excellent, fresh, local produce. This small, friendly country hotel is ideally situated for exploring either the Highlands of Scotland, or shopping and theatre-going in Inverness. Free Wi-Fi for all guests. Although only 3.2 km (2 miles) from the centre of Inverness, Glen Druidh House enjoys a quiet country location. Breakfast is anything from croissants, fresh coffee and organic orange juice; to a full Scottish breakfast, with black pudding. It's all freshly cooked and ordered from the menu: select as much as you like. Dinner is available by reservation. Snacks are available in the bar. All rooms and suites have en suite bathrooms. The suites have a bedroom and sitting room. 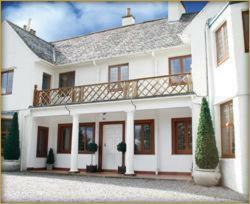 All are furnished in the style of the building with views of the gardens and woods. Watch the badgers in the hotel grounds all year - bring your camera. Glen Druidh is totally non-smoking throughout the house and gardens. Spacious, new, and very well equipped, these seafront apartments are on the inner Moray Firth, at the centre of friendly Ardersier village, east of Inverness and ideal for the airport. The 1,2 and 3-bedroom apartments offer relaxed comfort and breathtaking views. Dolphin Bay Suites are perfect for work, shopping and Highland hopping. They are convenient for the retail park, business park and the A9, as well as Raigmore and Culloden. There is easy, ample parking available. 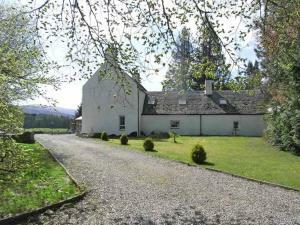 Beautiful centuries old house in private grounds with spectacular views across to Spey Valley to the Cairngorm Mountains. The house has been fully restored and modernised by the present owners to include a highly acclaimed French style restaurant which utilises the best of the local produce. It is the Auld Alliance ethos to make your visit a truly memorable one. We pride ourselves on ambience, hospitality, and the 'French gastronomic experience. This Highland retreat has peaceful, secluded grounds and views over the mountains. Columba House offers excellent customer care, delicious food and a cosy bar. Set against the stunning backdrop of the Cairngorm National Park. Columba House has a quiet, adult atmosphere and modern facilities. The hotel is near Aviemore and Loch Ness. The Highland Wildlife Park is a few minutes from Columba House. A small bed and breakfast in the Highland village of Newtonmore, ideally located for walking, bird watching and exploring the beautiful countryside around the Cairngorms. An 18-hole golf course is within walking distance, and other local attractions and beauty spots are nearby. The attractive, Swiss-style house features comfortable, well-equipped rooms complete with en suite showers, hospitality trays and TVs. There is also a guest lounge with a selection of books, and a light and airy dining room. Perfectly situated in the Cairngorms National Park, Clune House is a friendly, family-run bed and breakfast, surrounded by picturesque mountainside and wildlife. Eco-friendly Clune House holds a Silver Award for Green Tourism, and offers a hearty breakfast made from local produce. Clune House offers comfortably furnished rooms, some with en suite facilities. There is also a shared private bathroom that has a luxurious spa bath. A mountain bike centre, a water-sport centre, a championship golf course and a riding centre are nearby. The surrounding area is perfect for beautiful walks. 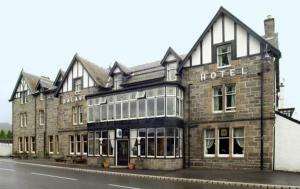 The Windsor Hotel is set only a few miles from Inverness and in the best residential area of Nairn. One of the closest hotels to Inverness Airport and near to the major trunk routes. 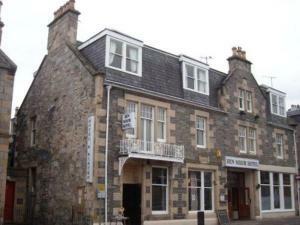 The Windsor Hotel is set only a few miles from Inverness and in the best residential area of Nairn within three minutes walking distance of the town centre. Beautiful sandy beaches, putting green, children's adventure play park, swimming pool, squash courts and full leisure facilities are also within easy reach of the hotel. Nairn, with its unique micro climate, is an ideal touring centre for the Highlands of Scotland, close to Inverness, Loch Ness and all that it has to offer. 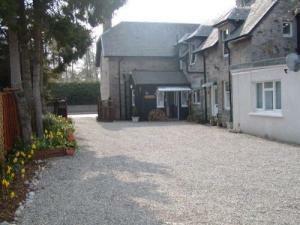 Only 15 minutes from Cawdor Castle and Culloden Battlefield. It is a perfect break whatever your interest - Whiskey Trail, Heritage, Touring, Walking and Golfing. This modern, fresh hotel in Inverness city centre is a 10-minute drive from Loch Ness. Rooms are bright, colourful, and have power showers. There is free Wi-Fi in public areas. 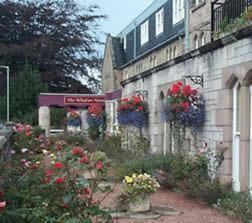 Ramada Encore Inverness is well located for the restaurants, shops and attractions of Inverness. Inverness Train Station is a short walk away. Hub Bar & Restaurant is an informal, friendly place for drinks and meals. In the heart of Inverness city centre, these luxury serviced apartments offer stylish city living, with free Wi-Fi and free, secure underground parking. Highland Apartments offer luxurious accommodation in the centre of Inverness, the capital of the Scottish Highlands. The apartments are all less than 5 minutes' walk from the city's shops, restaurants, bars and cafes. There are 2 Victorian apartments situated above the city centre in the prestigious Crown district. There are also 7 stylish and contemporary city apartments in a fabulous location, many of them overlooking the River Ness in the city centre itself. Each apartment has a CD player, a radio and a TV with Freeview digital channels and a DVD player. Every apartment comes complete with a welcome pack and has a washer/dryer and a fully fitted kitchen with a dishwasher and a microwave. The Dunollie Hotel has magnificent views across the sea to Loch Kishorn and the Applecross Hills. The bright, airy restaurant has an excellent reputation locally, and looks out across the water where dolphins and whales can occasionally be sighted. There are similarly splendid views from many of the shore-side bedrooms. There hotel has a bar offering local malt whisky and ales. Built in the late 1870s, this imposing Victorian building is set in 3 acres of picturesque countryside only 5 minutes from the town centre of historic Tain. 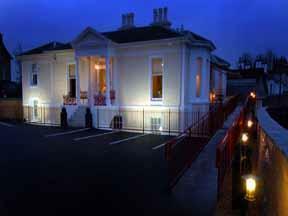 The Mansfield Castle Hotel offers award-winning cuisine and magnificent oak panelling throughout. 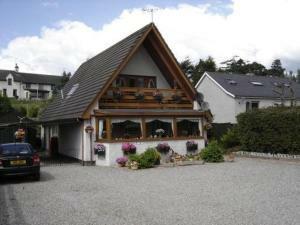 It is one hour from Inverness Airport, and is positioned in the heart of the Highlands. Mansfield Castle is a perfect venue for weddings, a short break or for golfers. Superior rooms are located in the castle and standard rooms are located in the beautiful garden wing, attached to the castle via a corridor. All guests are welcome to use the gorgeous residents' reading lounge. Originally a Scottish mansion house, the hotel is set in 4 acres of beautiful gardens and is just one mile from the city centre, with free car parking. With a swimming pool, spa bath, steam room and sauna, the club provides an admired leisure facility complemented by 2 fully equipped fitness rooms. The Leisure Club is open daily and also features a hair and beauty salon. The Kingsmills Restaurant offers excellent food and fine wine with the option of all-day dining in the conservatory lounge area. The hotel is ideally situated for visiting Loch Ness, Culloden, Cawdor Castle, Fort George, and the Cairngorm National Park for walking in summer and skiing in the winter. In Auchterawe Forest, this "country house in the woods" offers peace and quiet in a relaxed atmosphere, 2 miles (3.2 km) from Loch Ness and Fort Augustus village. You are offered a warm, friendly, family welcome at Auchterawe Country House. A converted former Scottish Farmhouse, it is an ideal base from which to tour the Highlands of Scotland. There are many hill, mountain tracks and riverside walks just outside the door. From your bedroom window, or in the conservatory, you can admire views of the Great Glen Mountain Range. Relax in the Guest lounge in front of the log fire or play a game of pool. In the heart of the stunning natural beauty of the Cairngorms National Park, this century-old hotel combines traditional charm with modern facilities, including heated indoor swimming pool and a sauna. The Balavil Hotel is situated in the cosy Highland village of Newtonmore, surrounded by the Cairngorms, one of the most breathtaking natural landscapes in Scotland, The hotel is over 100 years old and still boasts beautiful original features and period character and charm. The interior consists of open fires, a wood-panelled bar and a warm, friendly Scottish atmosphere. All of the hotel's rooms have en suite bathrooms and each room has a TV and tea/coffee making facilities. All guests can use the heated indoor swimming pool and the sauna, free of charge. The Balavil Hotel extends a warm Highland welcome to all guests. With the Ben Nevis mountain range as its backdrop, Stronlossit offers warm Highland hospitality in an area of outstanding natural beauty. The welcoming inn-style hotel is a perfect base for touring the Highlands, and a great place to enjoy outdoor activities. The Stronlossit Inn offers delicious food and comfortable en suite rooms.